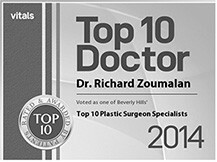 Richard Zoumalan MD is a leading facial plastic surgeon in Beverly Hills, CA. He is known for his natural results in Rhinoplasty and facial rejuvenation surgery. His clientele is referral-based and receives the highest possible level of care and attention. 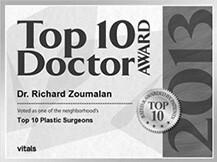 Dr. Zoumalan combines his unique surgical approach with his artistic background as a painter to tastefully enhance a face in a way that looks, feels, and functions naturally. 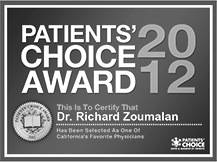 Dr. Zoumalan has studied all over the country with legendary surgeons in New York, Chicago, Seattle, and Los Angeles. He is known for his extensive innovative research which has furthered the field of facial plastic and reconstructive surgery. He continues to be a leader in plastic surgery by speaking at medical conferences as well as publishing new research articles and book chapters. In addition to using the latest medical techniques, he uses natural holistic healing methods which decrease your downtime and help make your experience pleasurable. During your consultation, Dr. Zoumalan will spend time with you so that he may understand your goals and motivations. Understanding his patient’s lifestyle and expectations for surgery is key in developing the best surgical plan for each individual plan. For Rhinoplasty consultations, Dr. Zoumalan uses state-of-the-art 3D imaging software as a communication tool in developing a customized surgical plan. He asks to see all surgical patients at least two times before the date of surgery. This is to ensure that all questions have been answered and you are fully aware and comfortable moving forward with the surgery plan. 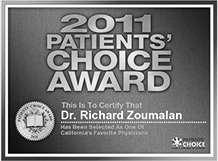 RICHARD A. ZOUMALAN, M.D., F.A.C.S. International Health Fellowship Grant, Feinberg Northwestern University Medical School. Research on French medical system. Established an observation database of Iressa (tyrosine kinase inhibitor) for patients with advanced non-small cell lung cancer. Awarded January 2002. JW, Roman B, Warren SM, Saadeh PB, Lalwani AK. Prevention of radiation-induced skin fibrosis by topical matrix-based siRNA. Awarded June 2009. Guest Associate Editor, Archives of Facial Plastic Surgery, 2010 to 2011. Marquis Who’s Who in America 2011 to present. Diplomate, National Board of Medical Examiners. July, 2002. Rhinopedia. Rhinoplasty Encyclopedia. Trademark Pending 2014. Natural Structure Rhinoplasty. Trademark Pending 2014. Yuan M, Kiertscher SM, Cheng Q, Zoumalan R, Tashkin DP, Roth MD. Delta 9-Tetrahydrocannabinol Regulates Th1/Th2 Cytokine Balance in Activated HumanT Cells. Journal of Neuroimmunology. 2002 Dec;133(1-2):124-31. (Honors thesis project). Zoumalan RA, Bendok B, Batjer HB, Sorin J, Burke AM. Association of an Irregular Anterior Choroidal Aneurysm With CREST Syndrome. A case report. Journal of Neurosurgery. 2004 Nov;101(5):854-7. Zoumalan R, Maddalozzo J, Holinger LD. Etiology of Stridor in Infants. Annals of Otology, Rhinology, & Laryngology. 2007 May;116(5):329-34. Morris LGT, Zoumalan RA, Roccaforte DJ, Amin MR. Monitoring Tracheal Tube Cuff Pressures in the Intensive Care Unit: A Comparison of Digital Palpation and Manometry. Annals of Otology, Rhinology & Laryngology. 2007;116(9):643-646. Zoumalan RA, Okun MN, Morris LG, Komisar A. Foreign Body Reaction to Facial Silicone Gel Implantation. Pathology Quiz Case. Archives of Otolaryngology –Head and Neck Surgery. 2007 Oct;133(10):1062, 1064. Zoumalan RA, Rosenberg DB. Methicillin-Resistant Staphylococcus aureus-Positive Surgical Site Infections in Face-lift Surgery. Archives of Facial Plastic Surgery. 2008 Mar-Apr;10(2):116-23. Zoumalan R, Rizk SS. Hematoma rates in Drainless Deep-plane Face-lift Surgery With and Without the Use of Fibrin Glue. Archives of Facial Plastic Surgery. 2008 Mar-Apr;10(2):103-7. Zoumalan RA, Shah AR. Analysis of Vector Alignment with laterally based Zitelli Bilobed Flap in Nasal Defect Repair: A Comparison of Flap Dynamics in Human Cadavers. Archives of Facial Plastic Surgery. 2008 May-Jun;10(3):181-5. Zoumalan RA, Lebowitz RA, Wang E, Yung K, Babb JS, Jacobs JB. Flat panel cone beam computed tomography of the sinuses. Otolaryngol Head Neck Surg. 2009 Jun;140(6):841-4. Zoumalan RA. Gone fishing. Laryngoscope. 2009 Aug;119 (8):1616. Zoumalan RA, Carron MA, Tajudeen BA, Miller PJ. Treatment of dorsal deviation. Otolaryngol Clin North Am. 2009 Jun;42(3):579-86. Review. Zoumalan RA, Hirsch DL, Levine JP, Saadeh PB. Plating in microvascular reconstruction of the mandible: can fixation be too rigid? J Craniofac Surg. 2009 Sep;20(5):1451-4. Rosenberg C, Joseph J, Zoumalan CI, Zoumalan RA, White WM, Lisman RD. Oculocardiac Reflex Associated with a Large Orbital Floor Fracture. Ophthal Plast Reconstr Surg. 2009 Nov-Dec;25(6):496-8. Carron MA, Zoumalan RA, Miller PJ, Shah AR. Biomechanical analysis of anchoring points in rhytidectomy. Arch Facial Plast Surg. 2010 Jan-Feb;12(1):37-9. Zoumalan RA, Shah AR, Constantinides MS. Quantitative Comparison Between Microperforating Osteotomies Versus Continuous Lateral Osteotomies In Rhinoplasty. Arch Facial Plast Surg. 2010 Mar-Apr;12(2):92-6. Lee JW, Tutela JP, Zoumalan RA, Thanik VD, Nguyen PD, Varjabedian L, Warren SM, Saadeh PB. Inhibition of Smad3 expression in radiation-induced fibrosis using a novel method for topical transcutaneous gene therapy. Arch Otolaryngol Head Neck Surg. 2010 Jul;136(7):714-9. Zoumalan RA, Kleinberger AJ, Morris LG, Ranade A,Yee H, Delacure MD, Myssiorek D. Lymph node central necrosis on computed tomography as predictor of extracapsular spread in metastatic head and neck squamous cell carcinoma: pilot study. J Laryngol Otol. 2010 Jun 24:1-5. Lee JW, Zoumalan RA, Valenzuela CD, Nguyen PD, Tutela JP, Roman BR, Warren SM, Saadeh PB. Regulators and mediators of radiation-induced fibrosis: gene expression profiles and a rationale for Smad3 inhibition. Otolaryngol Head Neck Surg. Accepted with revisions. Thanik VD, Chang CC, Zoumalan RA, Lerman OZ, Allen RJ Jr, Nguyen PD, Warren SM, Coleman SR, Hazen A. A novel mouse model of cutaneous radiation injury. Plast Reconstr Surg. 2011 Feb;127(2):560-8. Zoumalan RA, Zeitler DM, Morris LGT, Shah AR. Effects of Various Submucous Resection Techniques of Septal Cartilage on Nasal Tip Projection. Int Forum Allergy Rhinol. 2011 Jan-Feb;1(1):78-82. Zoumalan RA, Larrabee WF, Murakami CS. Intraoperative Suction Assisted Evaluation of the Nasal Valve in Rhinoplasty. Arch Facial Plast Surg. 2012 Jan-Feb;14(1):34-8. Harirchian S, Zoumalan RA, Rosenberg DS. Antidepressants and bleeding risk in facelift surgery. Arch Facial Plast Surg. 2012 Jul 1;14(4):248-52. Zoumalan RA, Constantinides M. Subjective and Objective Improvements in Breathing after Septorhinoplasty. Arch Facial Plast Surg. 2012 Nov;14(6):423-8. Romo T III, Zoumalan RA. Porous Polyethylene Implants in Rhinoplasty-Surgical Techniques and Long Term Outcomes. Operative Techniques in Head and Neck Surgery. December 2007. Vol. 18, Issue 4, Pages 284-290. Shah AR, Zoumalan R, Constantinides MS. Aesthetic Repair of Small to Medium-sized Nasal Defects. Facial Plastic Surgery. 2008 Jan;24(1):105 19. Zoumalan, CI, Wladis E, Zoumalan RA., Gausas RE, Cockerham, K.P. Ophthalmic and Orbital Complications of Head and Neck Surgery. In Eisele DW and Smith RV: Complications of Head & Neck Surgery, Second Edition. Thieme Medical Publishers; 2008. Miller PJ, Zoumalan RA, Carron MA. The Anatomy and Physiology of the Neck. In: Gentile RD. Rejuvenation of the Aging Neck. New York, NY: Thieme Medical Publishers; 2009. Romo T III, Pearson J, Yalamanchili Y, Zoumalan RA. Wound healing, skin. Emedicine.com. Zoumalan RA, Carron MA, Tajudeen BA, Miller PJ. Treatment of dorsal deviation. Otolaryngol Clin North Am. 2009 Jun;42(3):579-86. Zoumalan RA, Shah AR, Westine J. Short Incision or Mini-lift. In: Thomas JR. Chapter 38: In: Advanced Therapy in Facial Plastic and Reconstructive Surgery. Regan Thomas. Thieme Medical Publishers; 2009. Zoumalan, CI, Wladis E, Zoumalan RA, Gausas RE, Cockerham KP. Ophthalmic and Orbital Complications of Head and Neck Surgery. In Eisele DW and Smith RV: Complications of Head & Neck Surgery, Second Edition: Elsevier Health Sciences; 2008. Romo T 3rd, Zoumalan RA, Rafii BY. Current concepts in the management of the aging forehead in facial plastic surgery. Curr Opin Otolaryngol Head Neck Surg. 2010 Aug;18(4):272-7. Zoumalan RA, Larrabee WF Jr. Anatomic considerations in the aging face. Facial Plast Surg. 2011 Feb;27(1):16-22. Epub 2011 Jan 18. Zoumalan RA, Murakami C. Complications of Local Flaps. Facial Plastic Surgery. Facial Plast Surg. 2012 Jun;28(3):347-53. Epub 2012 Jun 21. Zoumalan RA, Zoumalan CI, Larrabee WF. Facelift and Midfacelift. Chapter in: Smith’s Ophthalmic Plastic & Reconstructive Surgery, 3rd edition. Pgs 501-506. Zoumalan RA , White WM, Current Diagnosis and Treatment in Otolaryngology, 3rd edition. Chapter: Facelift, Browlift, and Midfacelift. Publication pending. Zoumalan RA, Rizk SS. A Novel Method to Obtain a Natural Smooth Result in Primary and Revision Rhinoplasty. Publication Pending. Cosmetic Surgery times – Septorhinoplasty with laser improves breathing. September 26, 2012. Sirius Radio Interview – Doctor Radio. Channel 114. March 17, 2008. Discussion on Hospital-Acquired Infections. Zoumalan RA, Morris LG, Roccaforte JD, MD; Milan R. Amin, MD. “Monitoring Tracheal Tube Cuff Pressures in the Intensive Care Unit: A Comparison of Digital Palpation and Manometry.” Combined Otolaryngology-Head and Neck Surgery Spring Meeting, San Diego, CA, May 2007. Zoumalan RA, Constantinides M. “How Does Rhinoplasty Affect Breathing? An Analysis by Acoustic Rhinometry.” Annual New York University Department of Head and Neck Surgery Daly Day. New York, NY. June 2007. Zoumalan RA, Shah AR, Constantinides M. “Quantitative Comparison Between Microperforating Osteotomies Versus Continuous Lateral Osteotomies In Rhinoplasty.”Annual New York University Department ofHead and Neck Surgery Daly Day. New York, NY. June 2007. Zoumalan RA, Shah AR. “Analysis of Vector Alignment with Laterally Based Zitelli Bilobed Flap: a Comparison of Flap Dynamics in Human Cadavers.” Annual New York University Department of Head and Neck Surgery Daly Day. New York, NY. June 2007. Zoumalan RA., Rosenberg DB. “Methicillin-resistant Staphylococcus aureus (MRSA) Positive Surgical Site Infections in Rhytidectomy.”American Academy of Facial Plastic and Reconstructive Surgery Annual Meeting, Washington DC, September 2007. Zoumalan RA, Rizk SS. “Hematoma Rates in Drainless Deep Plane Facelift Surgery With and Without the Use of Fibrin Glue.”American Academy of Facial Plastic and Reconstructive Surgery Annual Meeting, Washington DC, September 2007. Zoumalan RA, Constantinides M. “Subjective and Objective Improvement in Breathing after Septorhinoplasty.”American Academy of Facial Plastic and Reconstructive Surgery Annual Meeting, Washington DC, September 2007. Zoumalan RA, Shah, AR, Constantinides M. “Quantitative Comparison Between Microperforating Osteotomies Versus Continuous Lateral Osteotomies In Rhinoplasty.”American Academy of Facial Plastic and Reconstructive Surgery Annual Meeting, Washington DC, September 2007. Zoumalan RA. “How does Rhinoplasty Affect Nasal Airway Dynamics?”NYU-TWJ Update. International Meeting, New York University School of Medicine. October, 2007. Zoumalan, RA. Sailon A, Chang C, Warren SM, Saadeh PB. “Topical Gene Therapy Using SiRNA.” Plastic Surgery Research Council. Springfield, IL, May 2008. Zoumalan RA, Thanik V, Chang C, Levine JP, Saadeh P. “ Transcutaneous gene silencing with gel-based siRNA. ” Institute of Reconstructive Plastic Surgery Laboratories. New York University School of Medicine. Plastic Surgery Research Council. Chicago, IL. May, 2008. Thanik VD, Chang CC, Branson BR, Gupta SM, Zoumalan RA, Levine JP, Warren SM, Saadeh PB. “ Transient local p53 Gene Silencing Improves Diabetic Wound Healing.” Institute of Reconstructive Plastic Surgery Laboratories. New York University School of Medicine. Plastic Surgery Research Council. Chicago, IL. May, 2008. Zoumalan RA, Hirsch D, Levine J, Saadeh PB. “ Microvascular Reconstruction of the Mandible: Can Fixation be too Rigid?” American Head and Neck Society’s 7th International Conference on Head and Neck Cancer. San Francisco July, 2008. Zoumalan RA, Wang E, Lebowitz R, Yung K, Jacobs JB. “Flat Panel Cone Beam Computed Tomography of the Sinuses.”Annual Meeting of the American Academy of Otolaryngology – Head and Neck Surgery. Chicago, IL. September 2008. Zoumalan RA, Thanik V, Chang C, Warren SW, Saadeh PB. “ Topically Delivered SiRNA for Cutaneous Gene Suppression.”American College of Surgeons. San Francisco, California. October, 2008. Zoumalan RA, Chang C, Zoumalan R, Thanik V, Sailon A, Warren SM, Saadeh PB. “A Novel Murine Model of Isolated Skin Radiation Injury.”American College of Surgeons. San Francisco, California. October, 2008. Zoumalan RA, Kleinberger AJ, Morris LG, Ranade A, Yee H, DeLacure MD, Myssiorek DJ. Utility of central lymph node necrosis on CT as a predictor of pathologic extracapsular spread in metastatic HNSCC. Annual New York Head and Neck Society Research Symposium. March 2009. 3rd Place Award. Zoumalan RA, Lee JW, Saadeh PB. Radiation-induced fibrosis: Rationale for inhibition of Smad3 expression. Oral presentation. New York Head & Neck Society Annual Resident Research Symposium, March 18, 2009. Second place Resident Research Award. Zoumalan RA, Lee JWSaadeh PB. Radiation-induced fibrosis: Rationale for inhibition of Smad3 expression. Oral presentation. Combined Otolaryngological Spring Meeting, Phoenix, AZ, May 30, 2009. Zoumalan RA, Lee J. Saadeh PB. Topically delivered si RNA therapy for radiation induced fibrosis. Wound Healing Society Annual Meeting. Dallas, TX. May 2009. Zoumalan RA, Lee JW Saadeh PB. Smad3 inhibition prevents fibroblast collagen contraction. Wound Healing Society Annual Meeting. Dallas, TX. May 2009. Zoumalan RA, Lee JW, Saadeh PB. Smad3 inhibition prevents dermal fibroblast-mediated collagen gel contraction. Plastic Surgery Research Council 54th Annual Meeting, Pittsburgh, PA, May 29, 2009. Zoumalan RA, Lee JW, Tutela JP, Nguyen PD, Saadeh PB. Inhibition of Smad3 expression in radiation-induced fibrosis using a novel method for topical transcutaneous gene therapy. Plastic Surgery Research Council 54th Annual Meeting, Pittsburgh, PA, May 29, 2009. Zoumalan RA, Lee JWValenzuela CD, Saadeh PB. Regulators and mediators of radiation fibrosis: gene expression profiles and a rationale for Smad3 inhibition. Plastic Surgery Research Council 54th Annual Meeting, Pittsburgh, PA, May 29, 2009. Lee JW, Zoumalan RA, Tutela JP, Saadeh PB. Gene expression profiles of radiation fibrosis: Silencing Smad3 with a novel method for transcutaneous gene therapy. Oral presentation. Northeastern Society of Plastic Surgeons 26th Annual Meeting, Charleston, SC, September 23-27, 2009. First place Resident Award, Research Category. Lee JW, Paek GK, Tutela JP, Canizares O, Saadeh PB. Negotiating the contract: Smad3 suppression prevents radiation-induced fibrosis in a collagen gel contraction model. Oral presentation. Northeastern Society of Plastic Surgeons 26th Annual Meeting, Charleston, SC, September 23-27, 2009. Zoumalan RA, Lee J. Saadeh PB. Gene expression profiles of radiation fibrosis: Silencing Smad3 with a novel method for transcutaneous gene therapy. American Society of Plastic Surgery. Seattle, WA. October 24, 2009. Zoumalan RA, Rosenberg DB. MRSA in Facelift Surgery. Complications Panel. 5th Annual Multispecialty Facial Cosmetic Surgery Conference. Las Vegas, Nevada, June 3, 2009. Zoumalan RA, Carron MC, Miller PJ, Shah AR. “ Biomechanical Analysis of Anchoring Points in Rhytidectomy.” American Academy of Facial Plastic and Reconstructive Surgery Annual Meeting, San Diego, October 2009. Carron MA, Zoumalan RA, Pastorek NJ. “Measured Gain in Projection with the Extended Columellar Strut-Tip Graft in Endonasal Rhinoplasty.” American Academy of Facial Plastic and Reconstructive Surgery Annual Meeting, San Diego, October 2009. Lee JW, Zoumalan RA, Nguyen PD, Valenzuela CD, Roman BR, Saadeh PB. Regulators and mediators of radiation fibrosis: A rationale for Smad3 inhibition. American Academy of Otolaryngology – Head and Neck SurgeryFoundation Annual Meeting and OTO EXPO, San Diego, CA, October 4, 2009. Lee JW, Tutela JP, Zoumalan RA, Saadeh PB. Smad3 inhibition prevents dermal fibroblast-mediated collagen gel contraction. American College of Surgeons 95th Annual Clinical Congress, Chicago, IL, October 11-15, 2009. Lee JW, Valenzuela CD, Nguyen PD, Zoumalan RA, Saadeh PB. Smad3 is a regulator of matrix metalloproteinase-2. American College of Surgeons 95th Annual Clinical Congress, Chicago, IL, October 11-15, 2009. Zoumalan RA, Maddalozzo J, Holinger LD. “ Etiology of Stridor in Infants.” Combined Otolaryngology- Head and Neck Surgery Spring Meeting, Chicago, IL, June 2006. Zoumalan RA, Rizk SS. “The Use of Implants in Facial Augmentation for Hemifacial Atrophy.” Triologic Society of Otolaryngology. Orlando, FL. May, 2008. Zoumalan RA, Warren SM. Saadeh PB. “A Murine Model of Radiation Injury to the Skin.” Institute of Reconstructive Plastic Surgery, New York University School of Medicine. American Head and Neck Society’s 7th International Conference on Head and Neck Cancer. San Francisco, CA. July, 2008. Zoumalan RA, Kleinberger AJ, Morris LG, Ranade A, Yee H, DeLacure MD, Myssiorek DJ. “Utility of Central Lymph Node Necrosis on CT as a Predictor of Pathologic Extracapsular Spread in Metastatic HNSCC.”American Head and Neck Society’s 7th International Conference on Head and Neck Cancer. San Francisco, CA. July, 2008. Zoumalan RA, Saadeh PB, DeLacure M. “Improving Functional Outcomes in Glossectomy Reconstruction.”American Head and Neck Society’s 7th International Conference on Head and Neck Cancer. San Francisco, CA. July, 2008. Zoumalan RA, Hazan C, Levine V, Shah AR. “Analysis of Vector Alignment with the Zitelli Bilobed Flap for Nasal Defect Repair: A Comparison of Flap Dynamics in Human Cadavers.”American Academy of Facial Plastic and Reconstructive Surgery. Chicago, IL. September, 2008. Rosenberg C, Joseph J, Zoumalan CI, Zoumalan RA, White WM, Lisman RD. “ Oculocardiac Reflex Associated with a Large Orbital Floor Fracture.” 2nd International Orbital Society Meeting, New York, NY, 2008. 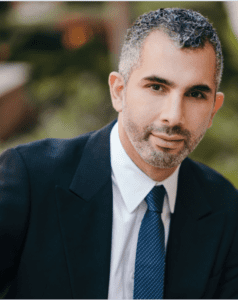 Brother Dr. Christopher Zoumalan is an Oculoplastic and Reconstructive Surgeon who works alongside Dr. RichardZoumalan in the Beverly Hills location. Rhinology and Sinus Surgery Update. New York University School of Medicine. May, 2006. Rhinology and Sinus Surgery Update. New York University School of Medicine. May, 2007. New York City International Aging Face Conference. Multidisciplinary Approach to the Aging Face. Instructional courses. New York, New York. September 1-7, 2007. AAOA Otolaryngology Conference. Committee Member. El Paso, Texas. Feb 1-3, 2008. Rhinology and Sinus Surgery Update. New York University School of Medicine. June, 2008. University of Pennsylvania Rhinoplasty Course. Atlantic City, NJ. November 7-8, 2008. New York Head and Neck Society Research Symposium. New York, NY. March 15, 2008. Endonasal Rhinoplasty Course. Dr. Norman Pastorek. Manhattan Eye, Ear, and Throat Hospital. January 19, 2010. American Academy of Facial Plastic and Reconstructive Surgery Aging Face Course. San Diego, CA. January 10, 2011. American Academy of Facial Plastic and Reconstructive Surgery Rhinoplasty Course. Chicago, IL. May 5, 2011.